Things are looking up (or down?) in this 1,000-piece puzzle featuring the art of Tom Masse. 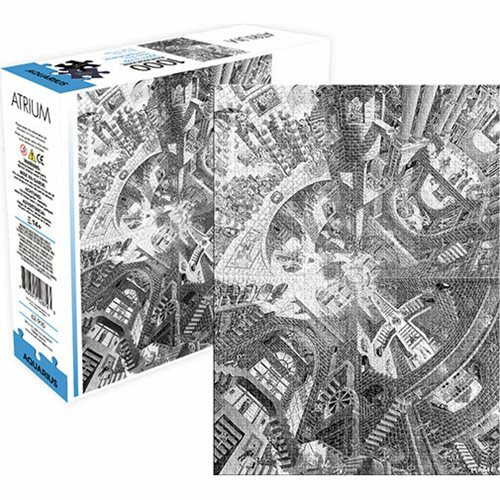 This artist's surrealistic take on the world will entertain you while you piece together this black and white puzzle based on one of Masse's better-known posters.